Finance minister Piyush Goyal will present the interim budget for 2019-20 fiscal on 1 February, 2019. The finance ministry has sought inputs from different central ministries for the Budget, which would be the last one of the current BJP-led NDA government before the 2019 general polls. As per practice, a vote-on-account or approval for essential government spending for a limited period is taken in an election year and a full-fledged Budget is presented by the new government. The Narendra Modi-government scrapped the colonial-era tradition of presenting the Budget at the end of February. With the pre-ponement of the Budget, ministries are now allocated their budgeted funds from the start of the financial year beginning April. This gives government departments more leeway to spend as well as allows companies time to adapt to business and taxation plans. Previously, when the Budget was presented at the end of February, the three-stage Parliament approval process used to get completed sometime in mid-May, weeks ahead of the onset of monsoon rains. This meant government departments would start spending on projects only from August-end or September after the monsoon season ended. Health insurance sector in India needs immediate attention, as healthcare continues to remain one of the most demanding subject in the country. There is an absolute need to spread awareness about health insurance amongst the population, considering the rising healthcare cost in the country. To promote health insurance in the country enhancing the tax rebate limit under Section 80D from the current value of Rs. 25,000 can be a great booster, further a waiver on Goods and Services Tax (GST) charges on insurance premium which are currently 18 percent can help increase insurance penetration in the country. To make healthcare in India more accessible new digital payment methods can be extended to consumers, this will certainly make health insurance payment process more convenient. After the initiation of Ayushman Bharat last year, healthcare infrastructure upgradation and development to support it should be the top priority of this year’s Budget especially in underserved semi-urban and rural areas. To achieve this provision of quality health care for all Indians, it is imperative that the government spending on healthcare is substantially increased from the current figure. To further bolster the private sector’s contribution in healthcare infrastructure, the industry should be accorded national priority status which will make convenient long-term financing structures viable. There is a strong need for re-balancing of activities between primary care and secondary/ tertiary care. To decongest our secondary/tertiary centres, investment in building a community-centric primary healthcare infrastructure is crucial. The cost of medical equipment in another area which adds to inflationary pressure in the Industry, Budget should focus on enabling and incentivising domestic production of medical equipment. Also, we expect more investment in the medical education domain to bridge the need gap for healthcare infrastructure and human resources i.e. doctors and nursing staff in the country. Last year the central government announced the Pradhan Mantri Jan Aarogya Yojana (PMJAY) also known as Aayushman Bharat. The most important part of the program is proper implementation. The Central and state governments will have to allocate sufficient funds for the scheme in the Budget. Last year's central Budget had allocated a paltry Rs 2,000 crore only for the scheme. Many state governments are renaming existing schemes to PMJAY without providing actual extra benefit through the tertiary care packages. However, this will lead to dilution of the concept and douse the interest of the private hospitals due to low tariff. We hope that this Budget will consider the requirement for sufficient funding for the adoption of advanced technologies by the private players especially in the Tier 2 and 3 cities. One major challenge that still remains is the angel tax. Many startups face the heat of clearing this outstanding amount from the funds, which keeps them from trying their hands at innovation at a consistent pace. Also, in order to enrich the Indian market, the rate of corporate tax, which is currently at 33 percent, should be reduced significantly. Lower rates of corporate taxes are one of the major factors that attract businesses to overseas markets. (For example, in Singapore, it is charged at 17 percent, making it a profitable ecosystem for businesses to sustain). Another consideration should be easing the FDI norms for raising funds from private equity players who can strengthen the inflow for our commercial real estate verticals like office spaces, malls, hospitals and hotels. This is quintessential for the consistent growth of India’s realty and construction sector." The upcoming Budget may introduce measures for stricter enforcement of the CSR laws to ensure that corporates carry out their responsibilities as prescribed in the Companies Act, 2013. While this is important, the government also needs to understand that corporates face genuine problems in complying with the CSR mandate. One of these problems is the inability to find credible NGOs to partner with. Impactify is helping solve this problem through its matching platform. The platform provides a public database for corporates and NGOs to identify partners and projects that best fit their requirements.Second, any pooling of CSR funds should be discouraged. Governments have previously tried to support corporates by pooling funds into a kitty to be administered centrally. This is counter to the essence of the CSR mandate, which encourages corporate and social sectors to interact directly and learn from each other. In our opinion, corporates should continue to be responsible for spending their own CSR funds. We believe that Budget 2019 will have a positive impact on startups in the FMCG sector, especially in the Indian tea industry. The past policies formulated by the government have been fruitful, and we expect that the new policies will ensure further growth in tea cultivation, tea export and tea consumption in the country. This will, in turn, help tea startups like us to contribute positively to the nation’s economy. Doubling the income tax exemption limit to 5 lakh will boost investment levels by common people. The government has already announced that contributions by government employees in the Tier II account of National Pension System (NPS) with a lock-in period of three years will be eligible for tax deduction under 80C, it would be beneficial if the same is extended to private sector employees as well. Also, tax deduction limit for equity-linked saving schemes (ELSS) is Rs 1.5 lakh; this could be extended to all mutual funds that complete a 3-year lock-in period. Currently, the deductible limits for health insurance premiums under Sec 80D is Rs 25, 000, this limit could be revised to higher amount and further reduce the GST for health insurance premium. Ayushman Bharat for the financially weaker section took centrestage in healthcare last year. However, the middle class is still at risk. A first step to universal health coverage would be to increase deduction for medical insurance premium u/s 80D for self, family and dependant parents. An enhancement in the medical allowance for salaried employees in line with inflation and a separate deduction in respect of preventive health checks would be desirable. Declaration of a National Priority Status for healthcare to support investment like subsidised infrastructure, tax holidays, monetary and fiscal incentives is hoped for. We look forward to zero-rating of GST for the sector, or for normalization of the GST rates for services consumed by the health care service providers at 5 percent. Reinstatement of weighted deduction under section 35AD of Income Tax Act, 1961, which would promote setting up greenfield healthcare projects. Given the tremendous potential of Medical Value Tourism, we hope that the Budget will show far-sightedness in exempting this income, thereby making “Heal in India” the new mantra. A Healthcare Infrastructure Technology Upgradation Fund that would provide subsidies for capital investment in upgradation of healthcare infrastructure is the need of the hour. The automotive sector, specially passenger vehicle has been seeing sluggish growth, a reduction in the GST rates will certainly go a long way in fuelling demand coupled with GST reduction on CKD units. The budget should further provide a definitive direction and incentive plan for faster adoption of EVs in the country including measures and incentives to replace very old vehicles which are one of the key sources of air pollution in large cities. While populist mechanisms such as relief in taxes and loans are being predicted, we expect the government to also address a few of the concerns of the technology sector and present some opportunities. As the role of AI machine learning, analytics, automation and IoT becomes more prominent across industries and verticals, the government would need to allocate resources that help strengthen digital infrastructure. Multi-dimensional policies will be required to promote adoption of technology, build a framework to optimize its effects and facilitate players that help to introduce such technology on a nation-wide scale. We expect the latest budget to define concrete steps to mobilise access to financial services and empower the fintech companies that facilitate them. For instance, extending credit guarantee schemes such as MUDRA and facilitating better data access to alternate lending companies can help in bolstering the impact and reach of these initiatives. Doing so can ensure high growth potential for MSMEs in India - being one of the most dynamic and critical sectors of the nation’s economy. Among various agendas, Prime Minister Narendra Modi has taken steps to promote young entrepreneurs in the country. The startup ecosystem is eyeing the Union Budget 2019, as the government is slowly recognizing the potential of startups and framing policies that create a favorable environment for them. While the Startup India Scheme has aimed to provide multiple benefits to startups in the form of easy license clearance, tax cuts and minimum regulatory interference, it has not entirely been a smooth road for the startup ecosystem. The government should consider reducing the corporate tax rates across the board to 25 percent. This will enable companies to invest and produce more in India. I hope the government will revisit the request to exempt GST for the supply of goods and services to units registered under STPI. This will release the pressure created on working capital and allow STPI units to bring in convertible foreign exchange into India. Additionally, I believe relaxation in income tax slab and a higher relief on housing loan rates will be a welcome move for the salaried class. Rajan Navani, Vice Chairman and Managing Director, JetSynthesys; Chairman of the Confederation of Indian Industry (CII) National Council on Future Businesses. The one key expectation of startups from the Budget is complete clarity and consistency on angel tax which has caused unprecedented levels of discomfort both for startups and angel investors. If not addressed, this can cause a complete collapse of initial financial support for startups to start thereby making the entire startup India initiative redundant. Global models in countries like UK and others give tax exemptions to angel investors and even reimburse 70 percent of their investment if the invested startup fails creating a very powerful incentive for risk taking for new and innovative businesses. Let alone an incentive, the angel tax taxes the startup on the share premium discouraging angel investors but more so completely paralysing the startup with having to pay taxes without even starting. All other expectations and incentives have taken a back seat in light of this large issue facing the entire startup ecosystem in our country. Rishi Mohan Bhatnagar, President, Aeris India; Chairman of the IoT panel at the Institution of Engineering and Technology (IET). With the initiatives like ‘Make in India’ and ‘Digital India’ empowering the IT sector, I believe that the government must take some concrete steps towards lowering the GST slab in the device manufacturing. This will give a boost to the R&D centres across the country to develop new innovative sensors and devices. It is crucial to focus in supporting innovation within the country to ensure India’s pace in development in the IT sector. Another area that could use some attention is the need to rationalise the spectrum license fees for IoT as the sector is gaining developmental momentum and the time has come that India brings in the change to ensure smooth functioning. To boost India’s innovation journey it is also a must to increase the focus on skills development on IoT and AI to prepare Indian talent for future job skills. Nikhil Mantha, co-founder and COO of Piggy, a mutual fund investment app. Any Budget before general elections comes with huge expectations. My macro level focus points are around job creation, industrial infrastructure and ggricultural credit. Also I am curious to see how the finance minister (FM) plans to balance tax cuts, subsidies if any, with fiscal deficit targets given that we are missing our Q4 target by 0.2 percent. In the investments space, I expect an increase in 80C limits to 2.5 lakhs from the current 1.5 lakh. Also, investors are expecting the government to bring parity between the schemes and make these tax savings avenues more attractive for individuals. In the present scenario, any switch within the same scheme from debt to equity in ULIPs and NPS or any fund reallocation between them is not liable to taxation. But shifts between the schemes like in the case of a shift from a dividend option to a growth option or vice -versa, is liable to capital gains tax. I expect FM to promote implementations of blockchain technology to boost our public infrastructure and pave way for positive regulations for the same to be incorporated in our financial services infrastructure. The real estate industry is eagerly awaiting some sops by the government in order to make housing more affordable by increasing the deduction available on loan interest paid for acquiring a house for self-occupancy purpose from the existing Rs 2 lakh per annum to Rs 2.5 lakh. The additional leeway of Rs 50,000 on interest paid on a home loan taken by a first-time buyer is applicable for only for loans availed in fiscal 2017 which should be extended to 2018 and 2019 also. We also hope the government addresses the anomaly in GST rates on under construction flats and brings it down to 5 percent, apart from providing input tax credit to the developers. These measures will go a long way in achieving ‘Housing For All by 2022’ vision of the government. Budget 2019 is an interim Budget and the last roll of the dice for the current government before the General Elections. Hence, populist measures are expected. Currently from an industry perspective, there is a double taxation on dividend. The companies have to pay corporate tax and tax on the dividend declared. Dividend received by shareholders is also taxable in the hands of an individual. So simplification of the tax structure will help the industry as well as encourage businesses. This will boost the economic growth further. Startups and fintech companies are eagerly looking forward to the Budget for a fresh impetus to their growth momentum. The government should seriously consider abolishing the ‘Angel Tax’ as it is hampering investments in startups. It should provide major tax relief to salaried employees by increasing the zero tax slab to Rs 5 lakhs, increase tax exemptions for savings, insurance and other investment products. This will have a positive impact on the GDP. We expect the government to announce tax concessions in digital transactions which will in turn encourage electronic transactions across the industry. We also hope the government provides more clarity on the e-KYC process. An alternative and smoother way of processing KYC should help ease the cumbersome process of new customer acquisitions. Also a new policy framework for adoption of newer technologies like Electronic National Automated Clearing House (e-NACH) and DigiLocker will help the industry and the end consumer at large. The Union Budget last year focused on the Ayushman Bharat Programme--the new flagship National Health Protection Scheme. This was aimed at providing a health insurance cover of Rs 5 lakh a family per annum with an expected benefit to 10 crore vulnerable families -- with approximately 50 crore beneficiaries. We hope that the Budget this year will place more focus on Ayushman Bharat by creating benefits under the scheme addressing people who are not covered yet but eligible and also cover additional 10 percent given reservations from upper class. The government should ensure 100 percent universal insurance coverage in the country. Another aspect that needs attention is the provision of enough subsidies for Ayushman only hospitals wanting to become a part of the scheme. The HR sector is looking forward to some conducive policies during the interim Budget this year. We hope it will become easier for startups to pay salary, commissions, incentives in the form of ESOPs. Allowing startup HRs to pay out salaries to vendors, consultants, etc. will help them find the right talent and in wealth creation. We are also looking forward to creation of equal opportunities for people with disabilities who are not part of the traditional workforce. This will ensure diversity and inclusivity at the workplace. The government should also step up efforts in the area of offering post-retirement support and benefits. Incentives towards investment in retirement savings and making schemes like NPS more attractive should also be considered. Apart from increasing investment in education, the government should lay down policies that will support the employment and employability eco-system. One of the areas that needs attention is the GST levied on third party services rendered to educational institutions. The GST levied on third party services should be brought down. Further, the GST levied on staffing industry also needs to be re-looked. The other area the Budget should consider are investing and extending the digitisation drive to education sector. While Maternity Benefit (Amendment) Act is indeed a good move, it creates financial strain on corporates, hence the government should come forward and share the financial burden. Further, from an ease of doing business point of view, the government should look at adopting PAN number as the UEN (Unique Enterprise Number). They should also allow the filing of Single Online Return for multiple labour acts through a single window. It will not only help companies to adhere to the compliance requirements but also will enable various government entities to monitor better. Lastly but most importantly, in this budget the government should make provisions for employees to decide the amount and platforms that they would want to invest their social security funds in as well. Digital innovations and technologies are quickly changing the design industry and to survive in the industry traditional retailers will have to adapt to consumer-centric technologies. As a design institution, our expectation from Budget 2019 is to give adequate importance to training educators as they are raising students as the future agents of change. Also, a significant amount should be allocated to improving the infrastructure of the R&D department in educational institutions. Royalty on minerals or mineral oil is a statutory levy under various Central or State legislations at rates specified on quantity of mineral or mineral oils quarried, mined, recovered, excavated or collected. The royalty payable is value of product extracted from the natural resource which belongs to the Government itself and Operator sells it only as a trustee or an agent of the government. In absence of any specific provision under Service Tax Act, 1994 and under Goods and Service Tax Act, 2017, there is an ambiguity as to “whether royalty payments are consideration for services provided by the Government?” This ambiguity leads to dispute between department and assessee. 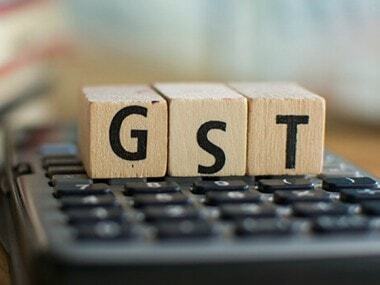 Therefore, our recommendation is to come up with specific provision or clarification on non-applicability of Service Tax or GST on Royalty payments to Government as royalties are in the nature of compulsory payments and not in the nature of any consideration for service performed or to be performed by the Government. Royalty payments should not be required on payment of Royalty to avoid payment of dual tax. Vikas Chadha, Executive Director and Chief Financial Officer, Berggruen Hotels Pvt. Ltd.
We would welcome steps by the government in the upcoming Budget to make tourism in India more competitive. We look forward to wide-ranging measures which the government can implement. Investments in logistics and connectivity still remains a challenge in India. Direct flights to neighboring destinations like Phuket, Sri Lanka etc are making the MICE business more competitive for Indian Hospitality. Hotels in India would lose to newer destinations as a result of this improved connectivity making international conferencing cheaper. The Government in this Budget can plan and identify the Top 50 Tourist destinations and allocate funds to develop plans for improved connectivity both from air, road and rail. We also look forward to budget spends and a concerted PR and social media push by addressing all negative news on the country especially on women safety, security issues and improve overall positivity towards India as a destination. In 2017-18 the Domestic tourist visits (DTV increased by only 2.3 percent, of which 63 percent was religious tourism which was not contributing significantly to the destination’s and hotels, visitors and economy. Initiating tax breaks for travel spends in line with Leave Travel allowance (LTA) model to all tax payers ( salaried as well as business ) including enhancement of the limits and including Hotel stay costs as part of the tax exemption claimable amounts versus only travel costs currently would help enhance the DTV’s for India and boost hospitality sector.